Do you Trust more than 500 reviews and all 5 Stars? Melbourne city Movers have been furniture removalists in the moving industry in Melbourne for more than 10 years. We meet new customers daily and request them to post some reviews for us. After requesting 10 customers only 1 is able to find spare time to post a review. This world is not perfect , delays happen , accidents happen and evil competitor intentions cannot be avoided. So our reviews are a mixed lot and i suppose most companies encounter similar issues to us. But when you search in google and see more than 500 reviews shown by some companies and that too all 5 stars, it surprises me a lot. And its not just one removals company , most companies I see online show these 5 star reviews in huge numbers. 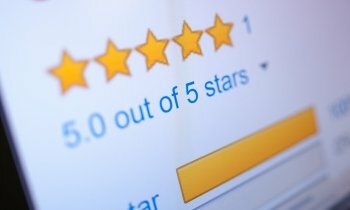 Companies are gaming the system to attract new customers and the real customers cannot even post a review on these company’s sites. We are one some rare occasion, late in the afternoon jobs because of unexpected delays in the morning move jobs. We try to allow enough time for both the moves but sometimes the situations are completely out of our control. Road accidents and emergencies cannot be avoided and result is a delayed start. Competitors do not need a reason to discredit others by posting a negative review for their own gain. Accidental damages happen during the moves, very rarely though. We do the right thing getting the repairs done and engaging our insurance to help our customers, but unfortunately even after all repairs some customers are unwilling to alter their review, and the site admins do not allow us to post a response about the action taken by us or they demand unrealistic amount of money to just post a reply. Some try to milk the system and post negative reviews just to get refunds over falsely claimed damages. As you can see above, there are multiple occasions on which you cannot escape a negative review, but somehow there are many companies with no negative review over the last many years…. suprisingly!. Conclusion is that the review system is all managed by software and companies cannot be trusted at all. All I Hope is that customers are clever enough to understand that this is not a perfect world and companies are laying a trap to catch them.